Microcurrent Electro Therapy (MET) can be used with the DAVID Delight Pro and Alert Pro light and sound with CES mind machines and the Oasis Pro CES system manufactured by Mindalive, Inc. for Mindmachines.com. MET has many applications, including relief from joint pain, tendonitis and muscle fatigue. The MET Kit is inexpensive, easy to use and can be used separately or as an adjunct to clinical treatment at home by those in need of physical pain relief. Dr. Daniel L. Kirsch, Ph.D., wrote an excellent tutorial on Microcurrent Electrical Therapy that should be considered a must read by anyone interested in incorporating MET into their pain-relief regiment. The MET Kit comes with electrode cable with snaps, thirty adhesive patches (that connect to the electrode cable) and retails for less than $50. Extra adhesive patches are available separately for under $25. Although electro-type medicine has been around for over a thousand years, developments in electronics and new research has seen this technology grow at a terrific rate. Microcurrent Electro Therapy (MET) is very different from the more traditional TENS because MET produces its benefits in part on a cellular level. MET has longer lasting effects than TENS. MET is also referred to as Micro-TENS. The idea behind MET is based, in part, on Arndt’s Law. Arndt’s Law states that weak stimuli excite physiological activity, whereas medium-strength stimuli will encourage it and strong stimuli will suppress it. Micro-TENS and MET are meant to be used directly along a muscle to break down knots and fatigue in muscle. It is a slow frequency (like CES), but the pulses are short. The standard protocol has been to use a fixed frequency of 0.5 Hz. However, Heffernan (1997) found that randomized stimulation from 0.5-3 Hz produced superior results. The Oasis Pro uses dual-randomized low-frequency stimulation, as does the Delight Pro and Alert Pro systems. When MET is delivered at around 500 micro-amps in the 0.5 to 3 Hz range it appears to be most effective for treating physical pain. Conversely, I have noticed several differences since I got my David Delight Pro with Tru Vu glasses. I have felt feelings I hadn’t felt for years. I can actually sooth my body. My long-term severe depression is gone. My negative self-talk has radically decreased. I appreciate and enjoy silence more. I see more beauty outside of me. I am more present in the moment. Etc. etc. Dave Siever is the President of Mind Alive, Inc. and creator / manufacturer of the Delight and Alert series of audio-visual entrainment mind machine models. Audio-Visual Entrainment (AVE) is a technique using flashes of lights into the eyes and pulses of tones into the ears at specific frequencies. 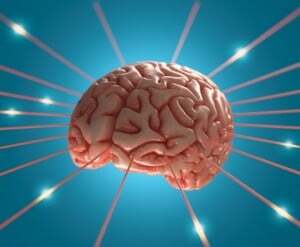 The frequency of the lights and tones used are in the brainwave frequency range from .5 to 40 Hz. AVE is one of the most intriguing stimulation technologies as AVE devices have been shown to influence, in varying degrees, brain activity by a myriad of influences, not simply frequency driving. 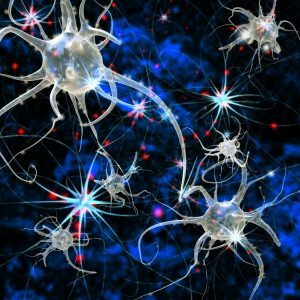 As a result of these other effects, we could ponder if we should simply rename the technique as audio-visual stimulation (AVS). Our senses are constantly bombarded by AVS. Consider watching TV or sitting on a street corner watching the traffic. These activities consist of abundant quantities of AVS, yet they don’t have much of an impact on the brain. 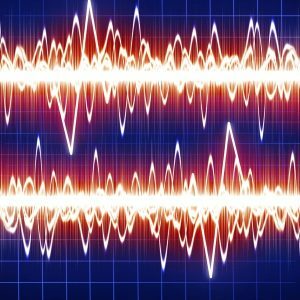 For instance, when AVE is randomized at ± 1 Hz (for example, 10 Hz would randomize from 9 to 11 Hz), entrainment is reported to provide a significant clinical impact, at ± 2 Hz, the clinical effect is poor and at ± 3 Hz, the clinical effect is all but lost. So it appears that the myriad of effects from AVS only occur when the stimulation is kept fairly rhythmic and therefore entraining, hence AVE. For this reasoning, we will use the term AVE throughout this article. Because AVE affects such a diverse range of neurological processes, it has applications spanning from simple meditation and boosting cognition to the treatment of complex issues such as depression, pain and diffuse axonal injuries (the most common type of brain injury). But first, let’s understand the physiology of AVE.
Click here to continue article. Light and sound programs have been written for many years. Some to provide entertainment, some to stimulate certain mental states. The programs used at the 2000 Sydney Olympic games by different athletes ushered in the first use of this modality with such exciting results. Hopefully this will open the door to more specified program development with the individual user in mind. Such “prescriptive” approaches can do nothing but supplement the positive utilization of this outstanding modality through the use of safe, reliable program development in the future. Hopefully this is a never-ending story. The athletes are already setting their sites on Athens 2004 and are setting up training times in the Arizona Center. NBA team members are using mindmachines to improve free throw shooting and NFL players are sitting in the locker rooms before a game stimulating synchronous states of mind for better performances. Light and sound is a treasure, a gift and a miracle all rolled into one. The same program that brings an athlete a Gold medal can enable a child to get better grades. Programs that allow relaxation and rest to the sleepless and anxious can provide mental comfort to children suffering from attachment disorders and post traumatic stress disorders. The greatness of this modality must be recognized and preserved through careful and meaningful use to insure its presence and forward movement to a complete acceptance by all. Light and sound mind machines are alive and well and are a partner for many who strive for peak performances in their daily lives. Copyright: Rayma Ditson-Sommer, Ph.D. for mindmachines.com (2000) AZ. All rights reserved. The overall goal was the development of a relaxation response in each athlete with the addition of synchrony training. In this way the door to the zone was easily accessed and the key to this door found through synchrony. Historically, athletes have used light and sound in various ways. The 2000 Olympic athletes used light and sound programs as a daily “way of life” for travel, sleep, focus and performance readiness. Daily usage involved training sessions in visualization and imagery with an individual protocol for each athlete. GSR biofeedback was used to record data on each individual, giving them reference points for improvement. By the end of the Summer, before they left for Sydney, most of these athletes could keep their mental states at a synchronous level ready for competition for as long as thirty minutes at a session. This assured them that they could reach this same level when they wished. The edge to performance came when the entire group of 13 athletes, sent to the Olympics from the Arizona Mental Training Center, arrived in Sydney with absolutely no jet lag ready to begin training five days before any other teams. This was accomplished by prior charting of ultradian rhythms finding the trough and peak periods for each athlete. This information was used to designate a certain protocol using their light and sound mind machine session before the trough time began. This practice allowed them to function at peak performance whenever necessary taking into account differing time zones, performance times and designated rest and sleep times in their schedules.